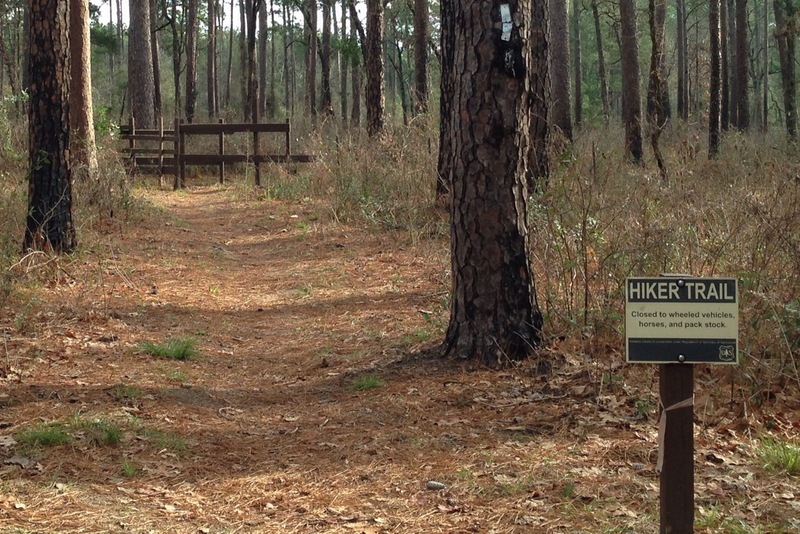 In nine days I will take my first steps on the Lone Star Hiking Trail, a 100+ mile trail that winds its way through the Sam Houston National Forest. For the past several months I have been preparing for the hike by doing research on each trail segment, purchasing my backpacking supplies, and doing lots of hiking with my friends Bill and Doyle. The three of us look forward to sharing this adventure. Having done the Texas Water Safari and several other ultramarathon canoe races, I do have something of an understanding of what to expect on a long trek. As the date of our hike draws closer, I find myself thinking more and more about this new adventure. When my mind is not engaged in other things, I find myself mentally reviewing one of the trail maps or thinking about my gear or considering contingency plans should we encounter something unexpected. 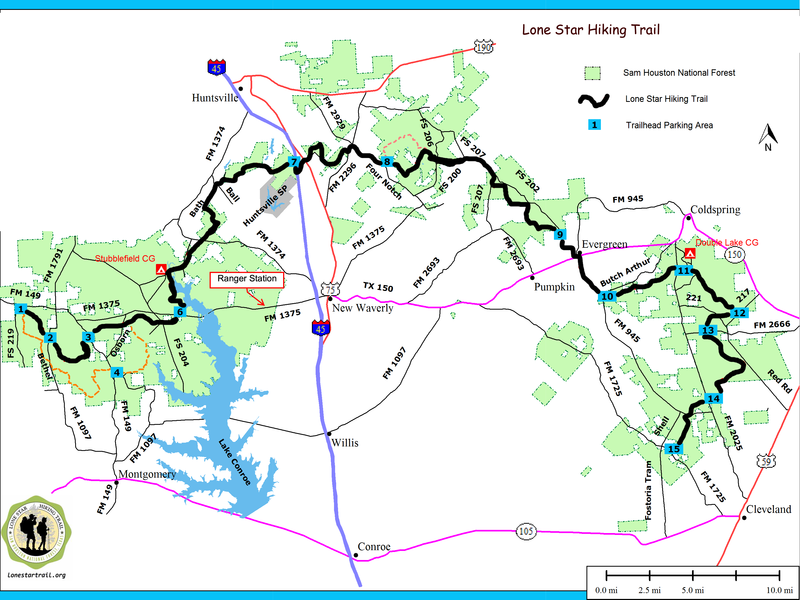 Here is what I do know about what it will be like to hike the Lone Star Hiking Trail. First, it will be hard. I’m not kidding myself. I know that I will feel the weight of my pack as we make our way through the forest. I know that I will have some aches and pains along the way. I will do everything I can to prevent getting blisters on my feet. But, based on my experiences of paddling on Texas rivers, I know that I can keep going and hike through the pain. Second, we will be uncomfortable. Based on our hiking plan, we hope to bathe at least twice along the way at campgrounds near the trail. As for our toilet — dig a shallow latrine behind a tree and leave no trace! 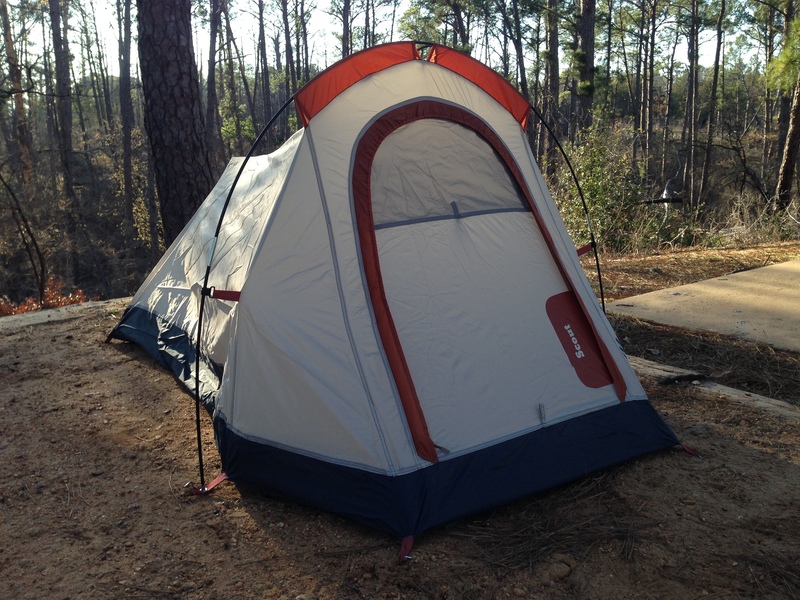 My home for seven nights will be a small one-man tent where my stinky self will fall asleep to the sounds of night critters. But, it’s all part of the adventure. Having spent four days in the same clothes on the Texas Water Safari, I know that I can survive any discomforts on the trail. Third, we will encounter challenges. The bridge over the East fork of the San Jacinto River has been out for some time. So, we will have to find a way to cross the river which may mean getting wet. Some hikers have reported a downed tree that partially spans the river near the trail. Others have simply hoisted their backpacks over their heads and waded chest-deep across the chocolate-brown river. I’m looking forward to crossing the river and facing other challenges along the way. Fourth, we will have to stay hydrated. One challenge is carrying our own water. A gallon of water weighs 8.35 pounds. We will each carry a gallon a day for drinking and cooking. We have identified three segments along the way where we will not have access to potable water and may have to filter water from ponds and creeks. We will also cache some water ahead of time and mark the spots on our map. Because we will have limited access to water, we will be very intentional about how we use what we have. 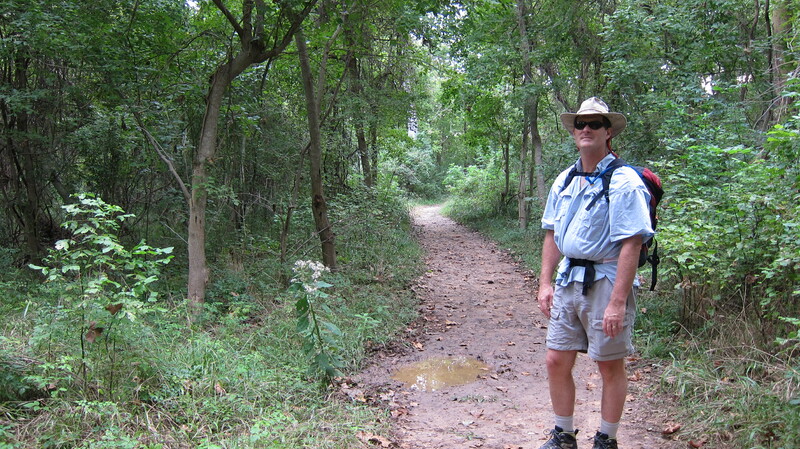 I can hardly wait for my vacation to start and to take my first steps on the trail. I especially look forward to the fellowship with my hiking companions and some refreshing time with God as we enjoy the beauty of His creation. I expect that we will all learn many new things along the way, lessons that can only be learned in the context of a long walk through the woods.